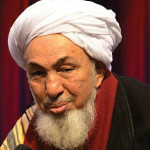 First on the list of speakers is Sheik Abdallah Bin Bayyah whose organization has reportedly backed Hamas (a designated terrorist organization) and endorsed a fatwa authorizing the murder of U.S. soldiers in Iraq. Next we have Sibghatullah Mojaddedi, who was a leader of the Afghan Senate. As Senate leader, he issued a statement approving the death sentence for Pervez Kambaksh, 23, who was convicted in 2008 of blasphemy for downloading and distributing an article insulting Islam. A charge he has denied. Fortunately, Mr. Kambaksh was able to flee Afghanistan with the aid of Norwegian and Swedish diplomats. The convention aims to promote stronger ties within North American society through reviving the Islamic tradition of education, tolerance and introspection across cultural lines through points of commonality and respect. 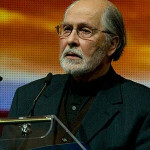 Death sentence for blasphemy: that is evidently how Mojaddedi models “tolerance” and “respect”. Another featured scholar is Hakim (Sherman) Jackson whose views on homosexuality certainly do not qualify as “tolerant” or “respectful”. 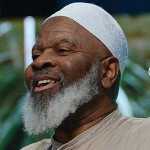 Jackson served as member of the Fiqh Council of North America, who sets orthodox Islamic doctrine, or Fiqh, for observant, Sunni Muslims in the United States. In 2003, council’s president issued the group’s policy on homosexuality, backing exclusion and the death penalty. In a previous RIS talk, Jackson promotes a culture war between Islam and the West. He promotes polygamy as a Muslim solution to infidelity, citing Bill Clinton and Arnold Schwarzenegger as examples. 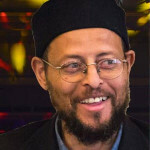 Zaid Shakir, is a convert and co-founder of Zaytuna College in California. Shakir is a conspiracy theorist, claiming that the 1993 WTC bombing “was undertaken by Zionist forces”. In a 2005 sermon, “Jihad: Just War or Unjust Violence,” Shakir defended the 1983 U.S. Marine barracks attack by designated terrorist Hizballah. The Marines were in Lebanon as part of an international peacekeeping force trying to stabilize the country, which had been torn by a civil war. After the London 7/7 jihad attacks, Shakir wrote an op-ed that asserts the moral equivalency with the Western war on terror. In response to the 2009 Fort Hood jihad attack where Major Nidal Malik Hasan killed 13 people, Shakir retailed his Muslim victimhood narrative and conspiracy theories denying that Major Hasan could have been motivated by his Islamic belief and asserting that “very powerful and well-financed interests are rallying against us” (Jews, CIA, etc. get your tinfoil hat). In time, this so-called democracy will crumble, and there will be nothing. And the only thing that will remain will be Islam. 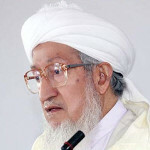 He praised Sheik Omar Abdel-Rahman (the blind Sheik) who was convicted of a plot to bomb a number of New York City landmarks. He despises the West and has told his followers that a society governed by strict Islamic law, in which adulterers would be stoned to death and thieves would have their hands cut off, would be superior to American democracy. When Allah demands us to fight, we’re not stopping and nobody’s stopping us. A true inspiration for our Canadian Muslim youth! Jamal Badawi has held leadership positions in a number of Canadian Muslim organizations with ties to the Muslim Brotherhood and Hamas. In 2004 Badawi issued a fatwa outlining six different conditions in which a wife may properly be beaten. He is also a promoter of polygamy (only for men). Badawi is/has been a member of the Muslim Brotherhood whose founder, Hasan Al Banna, wrote about jihad as armed warfare against unbelievers. Suhaib Webb has a history of ties to radicalism. According to FBI surveillance documents, Webb spoke alongside Al Qaeda mouthpiece Anwar al-Awlaki at a September 9, 2001 fundraiser at the University of California at Irvine. The event was to raise funds for a radical and violent Muslim cleric (Jamil Abdullah Al-Amin), a man that shot and killed a black police officer. 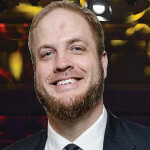 As the imam of the Islamic Society of Boston, Webb is also connected with the infamous Boston bomber Dzhokhar Tsarnaev. The Islamic Society of Boston’s website states the mosque’s sister organization is the Islamic Society of Boston Cultural Center. 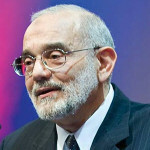 They are both subordinate to the Islamic Society of North America (ISNA), a known US Muslim Brotherhood associate and an unindicted co-conspirator in the Holy Land Foundation Trial. 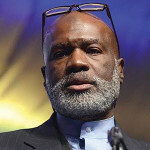 Webb was also previously the imam of the Islamic Society of Greater Oklahoma City where Alton Nolen (Jah’Keem Yisrael) attended. On September 25 2014, Nolen beheaded Colleen Hufford and attacked a second woman at Vaughan Foods before being shot by the company’s COO. Linda Sarsour is a purveyor of the “Islamophobia” victimhood narrative. 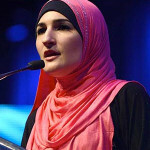 As director of the Arab American Association of New York, Sarsour is on record defending terror suspects, casting skepticism over law enforcement investigations and advancing conspiracy theories. In a 2012 interview she claims that Malcolm X was “assassinated in cooperation with the government”. Also in the interview she promotes her victimhood narrative that claimed that “Islamophobia” today is a continuation of the genocide of native Americans and the slavery of African Americans: a narrative that feeds radicalism. When Saddam Hussein was captured by American forces, she opined that “many Palestinians viewed Hussein as a hero because he steadfastly supported Palestinians in their struggle against Israel”. From the point of view of legislation and the preservation of public interest also we must consider the legitimacy of temporary marriage, like that of divorce, one of the noteworthy features of Islam. Looks like Ashley Madison for Shiite Muslims. Nasr is also a promoter of sharia law. "The sharia's roots are static; its application is dynamic"
This is a brief bio of some of the speakers at this year’s RIS convention. By only scratching the surface, it is easy to find the radical and intolerant proclivities of these speakers. Nonetheless, our witless Prime Minister Justin Trudeau will probably endorse it as he has in other years with many of the same speakers. Gag Warning on the following video!